As reported in Combat Aircraft October 2016, the Chengdu Aircraft Industry Group (CAC) is involved in preparation for some kind of aerial display involving the low-rate initial production (LRIP) J-20A. This included what was essentially a semiofficial ‘presentation’ of the J-20A with a flurry of news reports and images issued between September 30 and October 1. Four pre-production aircraft — two of them apparently in the new ‘tactical’ light gray with low-visibility markings as well as two more in yellow primer — performed a display over the factory at Chengdu on that occasion. 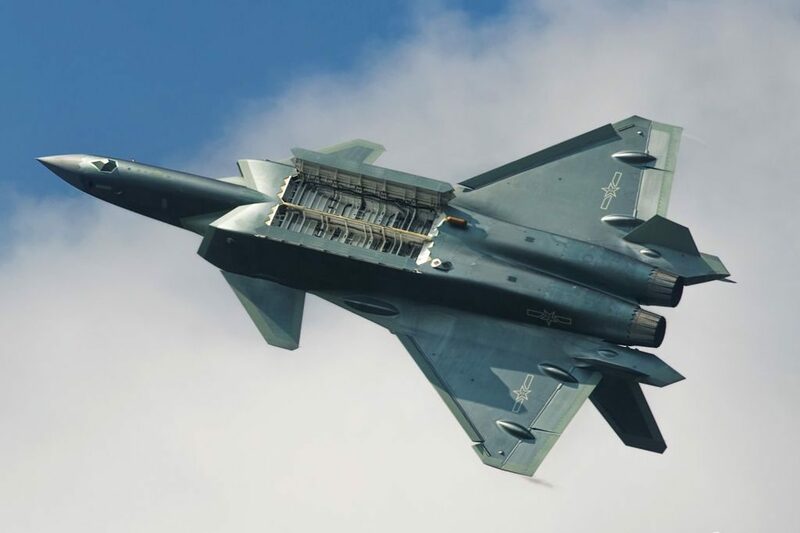 More recent images reveal that one of those two gray aircraft seen at Chengdu actually wears a striking, all-new splinter scheme. The two aircraft in yellow primer currently remain without camouflage. As such, we now have confirmation of one plain gray jet, one in the new splinter scheme, and two more in yellow primer. In addition, there may be two more LRIP aircraft that have already left the CAC factory at Chengdu. ‹ USAF looks to push F-15C/Ds out to 2045!